Thai Chicken Satay is a very versatile dish…you can serve it for an appetizer, main dish, or along side other grilled meats. Make sure to make time for the marinade…preferably overnight…it’s so worth it! You will love the sweet, salty, and spicy Thai flavors packed into this delicious grilled chicken! Serve it with Peanut Sesame Noodles and Peanut Sauce for dipping. All the recipes are listed in this post! Chicken Skewers: Start by soaking the wooden skewers to keep them from burning on the grill. Place marinade ingredients in a food processor or chopper and puree until well chopped. Pour the marinade over the meat and stir well to combine, cover bowl with plastic wrap and refrigerate. Marinate in the refrigerator for at least 3 hours or preferable overnight. When ready to grill, thread meat onto the skewers leaving enough space at the ends to handle. 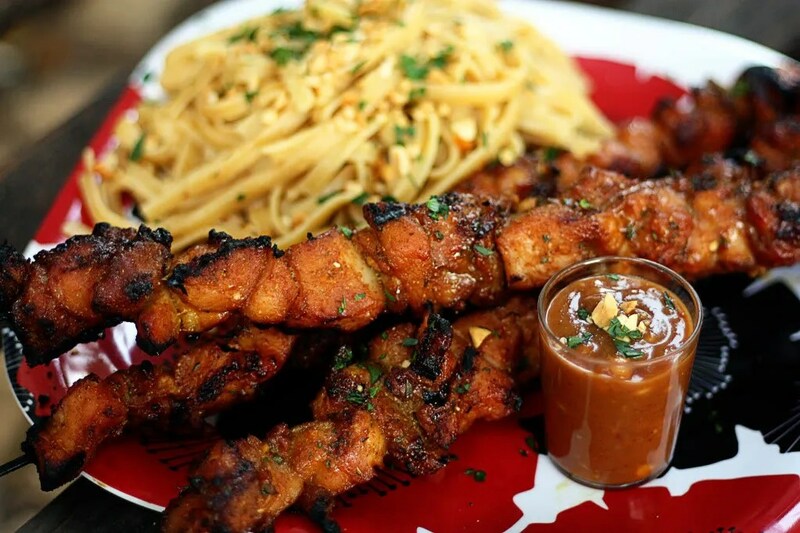 Grill the satay over medium-high heat, brushing occasionally with leftover marinade. Turn at least once and grill for a total of 10 to 15 minutes, depending on how thin the meat is sliced. 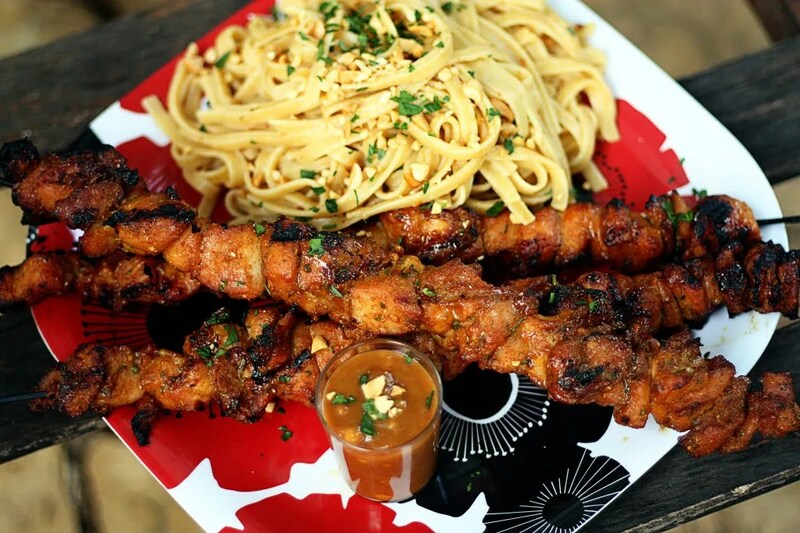 Serve with peanut sesame noodles and extra peanut sauce for dipping. Place all ingredients in a blender or food processor. Process until smooth and creamy. To thin, just add a little more coconut milk. You can heat this in the microwave, if you wish, or serve at room temperature. Cook soba noodles or linguini according to package directions and drain. Toss noodles with peanut sauce to taste. Toss in sliced green onion and/or cilantro. Garnish with dry roasted peanuts or toasted sesame seeds. Serve noodles warm or cold.